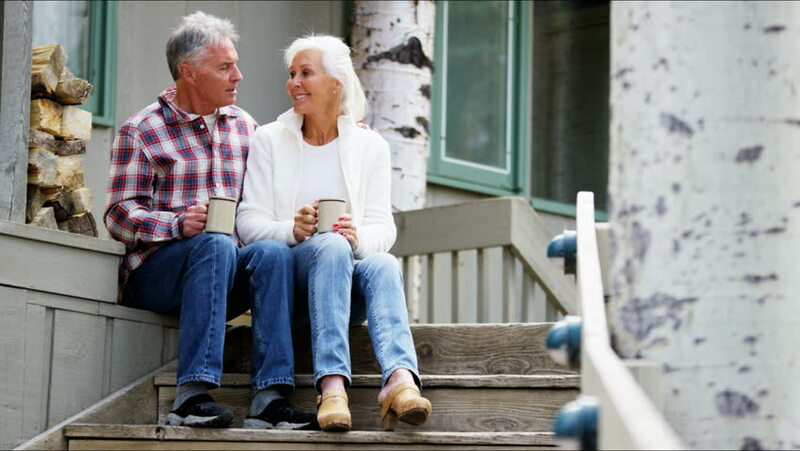 People who enter their senior years typically have only a fixed income. In this regard, many people on their senior years find it a tad difficult to adjust. Having this dilemma of having only limited funds, it is quite arduous for senior citizens to pay for unexpected expenses like home maintenance and repairs. It is terrific to know though that grants and programs are allotted and available for the home improvement of senior citizens. These grants aid in paying the majority of the repair costs, thus significantly reducing the overall cost. The kind of grants and programs available will be dependent on where the senior citizens live and on their financial status. Which of these grants for home improvement for senior citizens should they avail of? How would they know if they are eligible to avail these grants, and how would they apply? First, some states and local governments offer financial assistance programs that are inclusive of grants, loans, or a combination of two to aid low to moderate income senior citizens to pay for modifications and improvements done to their homes. These include accessibility improvements like adding wheelchair ramps and handrails as well as other home improvements such as insulation, cooling, and roofing. Some states even offer a zero-interest-rate deferred –loan-program for minor repairs assistance. Senior citizens can contact their local housing authority to know more about these programs. Second, if the senior citizen is a veteran, he/she is entitled to receive veteran benefits. The benefits include grants that will shoulder home improvement costs. It also encapsulates financial assistance for the veteran senior citizens’ daily needs. Veteran senior citizens only need to contact the Veterans Benefits Administration to know the application process and requirements. Third, the federal government also offers grants and offers for home improvement for senior citizens living in qualified areas and has met low-income requirements. The amount of grants and loans will be dependent on the kind of program that a senior citizen would apply to. Senior citizens may contact their local US Department of Agriculture (USDA) to know more information about these grants and offers for home repairs and improvements. Last, numerous non-profit organizations offer programs and services specifically for home improvement for senior citizens. Some of these organizations even offer volunteer home maintenance, repairs, and modifications. Others organize various home-repair events for eligible senior citizens. These services are not only for low-income senior citizens, but also for low-income veterans and military families, people and families living with disabilities, and disaster victims. Senior citizens can check the list of non-profit organizations in their local area, enquire of the services they offer, and how they can avail of these services. Given that senior citizens have only limited available funds, it is hugely beneficial for them to avail of these programs, grants, and offers specifically for home improvements for senior citizens. These programs and grants will surely cut the cost of home repairs, and their worries about where to get the money should the need arises. Planning your home finances is an important task to accomplish, but it does not have to be a tiring affair. One way to make it easier is to understand how to manage your home finances in an Excel file. Among the different methods of managing your finances, the most popular is perhaps using online spreadsheets or Microsoft Excel. Your budget is a vital factor for managing your finances: it’ll show how much money comes in and how much of it is being spent. By checking your cash flow, you’ll see where every cent goes. You’ll allocate your resources better, and you’ll better maximize the amounts in your paycheck. Tracking your expenses and planning your budget will also help you set your financial goals. Doing so will give you a clear view of how you stand, plus help you see what you need to improve on. Excel files can store large amounts of data, and its specialty is data analysis and calculation. Data gathered can even be presented in a simple yet professional-looking table. Using spreadsheets help organize the information you gather, plus it easily does the math for you. So how do you do it? Easy. Here’s a step-by-step guide on how to manage your home finances in an Excel file. Are you looking for immediate budget planning, or are you aiming to see ways on how to arrange long-term goals for your money? Will your goal prioritize your necessities, or will it give way to your luxuries? Necessities include but not limited to food, utilities, mortgage or rent, car payments and household supplies. Luxuries include family vacations, travel plans or self-indulgences e.g. massage. Being clear about your goal helps you manage your money better. You can set up Excel to have a template that you can reuse. You can start with a blank spreadsheet. You’ll see tabs at the bottom left for setting up multiple categories, or divide your spreadsheet into different areas. Categories can include cash flow, income source, bills, savings, and totals. Creating the template will be easier if you have determined both your income and your expenses. An estimate will do if you’re not sure of the actual amounts. Add them all up to arrive at the total amount. There are two kinds of expenses: committed and discretionary. Committed expenses are usually your necessities; they can either be fixed or variable – the former having a fixed amount, while the latter does not. Discretionary expenses are optional e.g. recreation and entertainment. Managing your expenses will be easier with formulas. You can use formulas that are either predetermined or self-made. Typical math formulas have the equal sign towards the end of the math sentence; Excel formulas are written in reverse. There are formulas for all four mathematical operations (addition, subtraction, multiplication, and division) as well as complex formulas for tax and interest. • Fill in the information. Now that the templates are set up as well as the formulas, you can now add the information i.e. labels, categories, and other items. There are Excel features that will greatly help your document: font will help you set up highlighting, letter formatting, colors, and size; alignment helps you with text orientation, merging of cells and wrapping text functions; numbers help number formatting as well as adding currency symbols. Now that you’ve got everything set up, the next and final step should be about filling in the information as days pass, and learning from the numbers. Are you able to manage your money wisely? Is your income enough for all your expenses and still allows you to save? It’s not enough that you have everything recorded – your excel file should also be able to help you understand and improve your financial status. 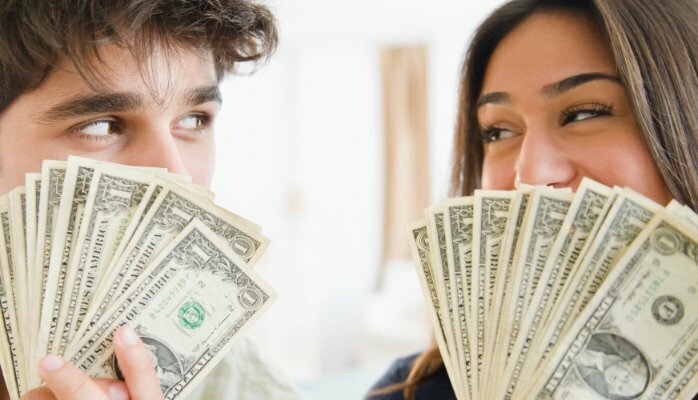 Money is one of the main causes of fights in marriages, especially in newly-weds, because there is a big possibility that your spouse’s way of managing finances is entirely different from yours and that, right there, is already a brewing problem. You and your spouse were raised in different households that have different views and beliefs when it comes to managing money; that is why conversations about finances often lead to fights if one or both of you don’t know how to compromise and work things out properly. The best to do this is before finally deciding to tie the knot, but in case you haven’t, you need to talk about finances with your new husband/wife as soon as possible. You might want to let your spouse know how you expect household money to be handled as well as reveal how much debt you carry. You’re going to need to make sure that both of you have a clear understanding and knowledge of where you stand financially as a couple. That is why it is very important to set aside time to talk about finances to strengthen the communication and openness in the marriage, as well as the level of trust. Creating a list of your monthly expenses and designing a budget plan for it is a good way to track and control monthly household expenses. Start by reviewing your total joint expenses for the last few months and determine how much both of you have been spending. Try to establish limits for each of your monthly budget categories like car maintenance, food, entertainment, dining out, etc. So that you can avoid having too much debt by the end of the month. Always try to stay within the spending allotment that you set and adjust accordingly depending on your expenses, situation and income changes. 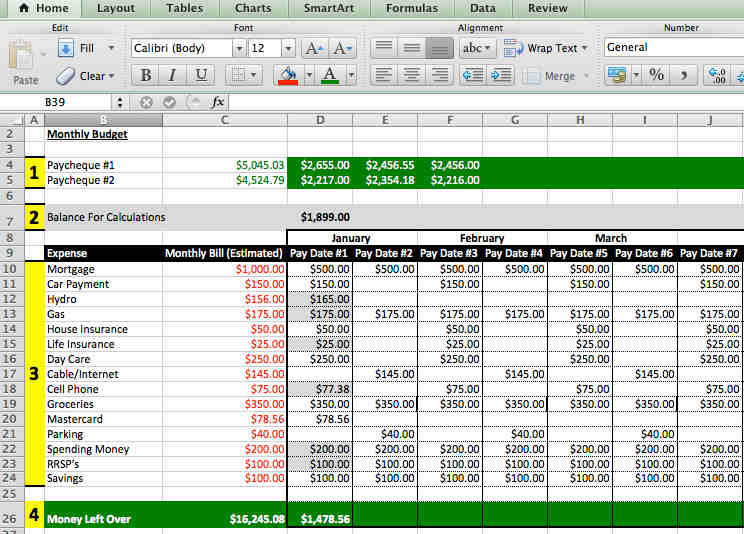 You can design a spreadsheet that will track all your expenses and total everything up at the end of the month. Don’t be afraid to try different methods until you got whatever works best for both of you. Work as a team. Both parties should work together and share financial responsibilities equally as much as possible especially if both of you are working. It’s also important that both wife and husband take part in budgeting, decision-making and bill-paying. You need to have the same goals in your minds. Encouraging each other and building each other up are also important because these will keep the fire burning and will increase your trust levels as well. Money management for couples is not an easy job. But if both spouses will work together and share responsibilities equally, money management would even contribute to the growth of their relationship. Household budgeting is normally not taught in many schools these days. Although some schools are now starting to include finance in their curriculum, a majority are still clueless on how they can be on top of their budget. Still, some are struggling to manage their household budget even though both parents are already working. No matter what, having a plan will always help you achieve your goals. Similarly, for you to succeed in your finances, preparing a plan could work. Always keep a record of your incoming and your outgoing cash. To put it simply, keep track of your income and your expenses. For some people, writing their budget on planner works. However, to some, using a spreadsheet on a computer works better. Use a method that you are comfortable with. In your budget planner, include all your sources of income like salary, investments, business, etc. and your expenses such as household bills, living costs and so on. Making the details specific can help you have a better analysis of your finances. When you see figures well, you can make better and wiser budget plans. Also, try to stick to your plan at all costs. This will help you get rid of unnecessary spending and help you avoid getting broke. Always set aside contingency money. 2.) Try as much as possible to reduce expenditure. This does not mean not spending at all. It means that you should try finding ways on how you can reduce cost. For example, it would be better to rent a DVD rather than buying one. That is because watching movies is not a frequent activity. It is better to rent a DVD rather than having a bought one at home collecting dust for months or years. On top of that, if you like buying magazines, buying old ones from book sales would be better. You can buy magazines in book sales for half their cost. You will just get the same information anyway. Another tip is to take advantage of the sale in malls. Do not buy expensive clothes at their regular cost. Buy them at their reduced cost when malls have sales. 3.) Spend more on needs rather than on wants. It is nice to give yourself a treat from time to time. Hence, setting aside some amount for your pleasure would be okay. However, do not spend too much on your wants. Spending too much on your wants can put your finances in the danger zone. Just spend on extra pleasures when you have extra money. Don’t give in to temptation easily. 4.) Set aside money for savings and investment. We do not work and live just to pay the bills. Thus, always set aside money for financial investments. This is the best way for you to make your money grow. Try to research on some investment vehicles available in your area so that you can know how you can make your finances grow. 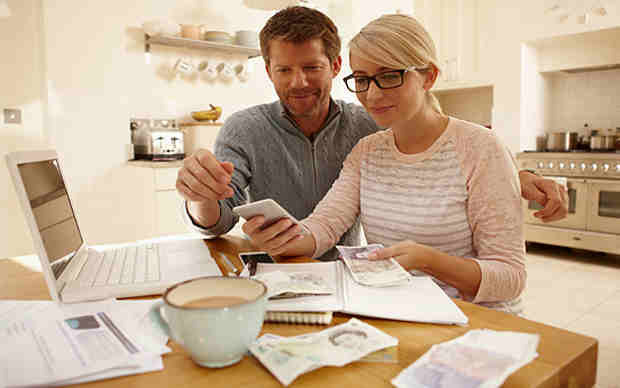 These are some few tips which you can follow for you to manage your household budget wisely. Being knowledgeable about finances will help you improve your financial health. Pregnancy requires a lot of adjustment not just for the one who’s carrying the baby but for the whole family as well. It could be a roller coaster ride, especially if it’s the first time for the family. Planning and preparing ahead is the key to making situation as manageable as possible. It may also be a planned or unexpected pregnancy. 1. It starts with making a budget based on the family’s income, about the compensation or lack thereof during maternity leave. Starting with the income and expenses, the expecting family needs to track down their income sources and where their money goes. The details of the income and expenses may be put in a budget planner, adding the possible additional expenses in the next nine months onwards for visits to the doctor, maintenance, supplements, change in diet, etc. The family may also be entitled to some government benefits which can be added to the source of income of the family. 2. Knowing your financial situation and having a concrete plan can make a difference between easy pregnancy and financial crisis. You may have to cut down on some unnecessary expenses and focus more on saving and preparing for the months ahead. 3. If the pregnancy has been planned, it is important to save as much as possible for the following months. This can help cover much of the expenses during pregnancy. Otherwise, cutting down on expenses and budgeting your finances is necessary. 4. It is also important to know if your company offers paid maternity leave or any other compensation or support. It would be best to find out from your Human Resources Department and your superiors the answers to your questions as soon as possible. Moreover, they should be informed of your situation as well. You can also discuss with your employer some options regarding a flexible working schedule or a limited working schedule. You may also inquire as to whether you can use other paid leaves during the pregnancy period so as to allow you to continue to earn your normal salary. 5. Since pregnancy requires more time and expenses, during and more so after the pregnancy period, the family may also be open to other ways to supplement their income. During the mother’s maternity leave, she may do some freelance work which does not require much of her time and allow her to manage her time and schedule. 6. Sometimes, even the best planning and preparation may not be even enough for the coming consequences of pregnancy. There is a lot to consider for a major life change for everyone in the family. A bit of help from a professional financial advisor can help you get through the pregnancy stage without compromising your family’s income. You may also find help and support by joining a group of other expectant mothers like yourself. You could find and even offer help and support to each other. It could be the support and guidance that you need to help develop a plan and strategy on going through the process of pregnancy. Financial planning in itself is not easy, more so with the big change of having an additional member to the family. Therefore, it is important to plan ahead and act on it as soon as possible so as to prevent having a financial disaster. Many business owners today struggle to keep their business afloat while tracking business finances. It is very important to know how to unlock more finances for the business so that you can avoid problems with the cash flow. It is necessary to learn how to balance what you owe and what you are expecting from your debtors. 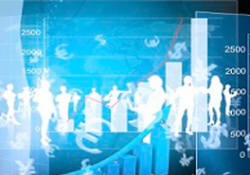 Below are some tips on how to manage the business finance to avoid problems. Manage cash flow. It is important that you keep your debtors under notice to follow deadlines so that you can also keep deadlines. The people who owe the business should pay on time as agreed so that you can also pay the party you owe from (if there is) like the bank or your suppliers, and keep the business running. Bookkeeping. It is the act of recording business transactions as part of accounting in the business. It is very important that you write down or you have a software that will help you track down what goes in and what goes out, how much you owe and how much you are owed with. If the business owner cannot do the records, they can hire a trusted person to do that for them. Mobile Payments. Depending on the country you are in, you can request your debtors to pay you via mobile payment to accelerate cash flow easily. This will help you get your business cash fast without delay in case the debtor is far from you. Also, some banks do allow transaction via mobile phones. Managing the business credit is important in order to find a credible bank or local credit union you can trust in times of business credit need. Most banks offer mentorship and advice in times of need. If you have a loan from them and you are not doing so well in your business, they can offer an overdraft and advices on ways you can get out of trouble. If you are not able to pay on time, let them know so that they don’t term you as a defaulter destroying your credibility. Try as much as possible to keep the terms of the loan to avoid your business rating going down. Keep your credit policy high. Remember that your business relies on the cash flow so when you borrow or give out by debt, it is important to consider deadlines to keep the business running. Cash flow is the bloodline of your business so remember to pay your creditors on time as agreed and remind your debtors to do the same. Financial Planning. When you buy goods to sell and you need to add more stock or expand, it is important to plan on the financial implications of what you are going to do. Especially expanding by adding another business branch, do a survey first and understand if the first business will be able to support the expansion before it starts making any profits to support itself. 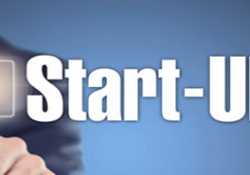 Owning a start-up business is not that difficult when you have the right resources. The real tussle comes when it’s about managing finances, especially when you don’t have the appropriate skills. For A start-up company, even the slightest of mistakes in the financial department may be catastrophic. Hence, vigilance on the part of the owner is important. But luckily for us, business experts have been kind enough to share their knowledge on the subject matter. By using these five simple tips on how to manage finances for a local start up, you are guaranteed of a stress-free business environment. 1.) Ensure you have a trusted professional. Accounting at any level proves to be problematic in case you as a business owner doesn’t have the appropriate skills. It’s always best to call a trusted expert. This may cost you, but think of the headache that will cause you, or the relief you would get by having figured out where those extra dollars are going to. 2.) Ensure that there is a clear boundary between business and personal expenditures. This is very important if you are to keep these two apart. This is simply because very few people keep a detail of their personal expenditure. Hence, if this is mixed with business expenditures, not even your accountant can explain the leaks in your accounting books. 3.) Find an appropriate account software. In case a lawyer is too expensive, you may opt to download an accounting software. It serves the same purpose it aids in the heavy lifting of making calculations. All you have to do is click or key in values. 4.) Ensure you have a bookkeeping system. This helps in keeping track of day to day transactions. This comes in handy when making evaluations after an accounting period, and it also makes it easy to prepare a cash-flow statement. 5.) Always have an appropriate payroll system. Being a start-up company, chances are that you are the only person running the affairs of the company, that is why the need for a payroll system to determine how much each of your employees should be implied. In the event of working with private contractors, you need to keep track how much you pay them in case you are required to present the data. “Information is power” as they say and following these 5 basic guidelines on how to manage finances of a startup business may go a long way in making sure that your business does not suffer from monetary problems. © 2019 Barry and Paul Parker's Finance Blog. All rights reserved.